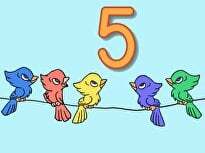 Does your child need an extra helping of addition assistance? 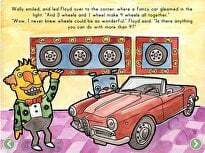 Encourage her to dig into some "math salad"! 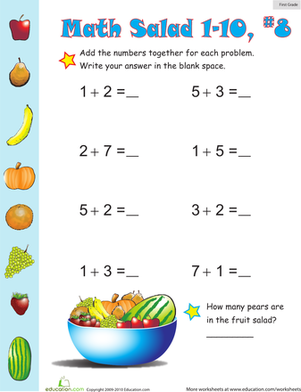 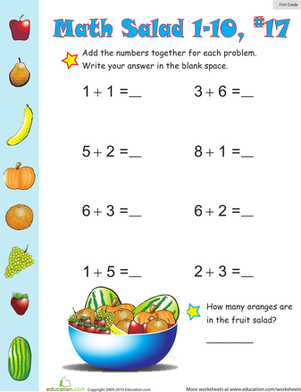 This adorable and fruit-filled addition worksheet will give her mental math skills a boost while improving her understanding of adding. For even more practice, try printing out this entire set of single-digit addition practice worksheets! 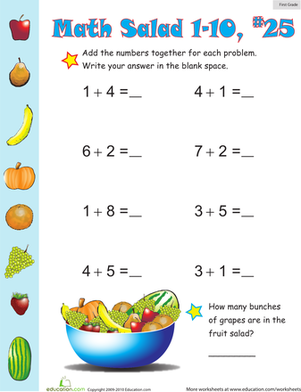 This charming "math salad" addition worksheet will give your first grader the extra assistance he needs to become a mathematics mastermind! 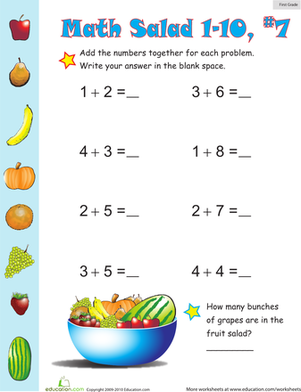 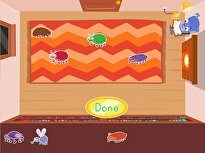 If your first grader's addition skills need a healthy boost, encourage her to eat a nutritious salad chock-full of single-digit addition problems! Covering single-digit addition problems, this first grade math worksheet offers an approachable introduction to math beyond counting. 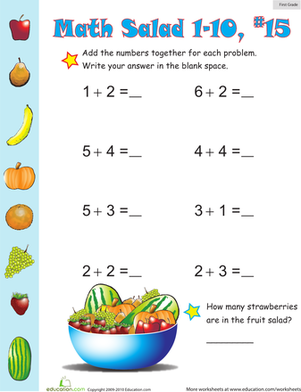 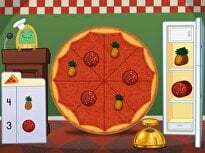 This fruity math printable will help your first grader fine tune his mental math skills as it refines his understanding of single-digit addition.